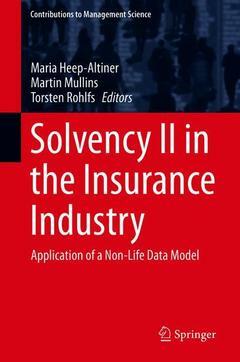 This book illustrates the EU-wide Solvency II framework for the insurance industry, which was implemented on January 1, 2016, after a long project phase. Analogous to the system for banks, it is based on three pillars and the authors analyze the complete framework pillar by pillar with a consistent data model for a non-life insurer, which was developed by the Research Group Financial & Actuarial Risk Management (FaRis) at the Institute for Insurance Studies of the TH Köln - University of Applied Sciences. The book leverages the long-standing and close cooperation between the University of Limerick (Ireland) and the Institute for Insurance Studies at TH Köln - University of Applied Sciences (Germany).